It's no surprise to see a mad dash for the horror shelf in October, but spooky good times at the movies don't have to wait until Halloween. Before the floodgates open in the fall, film studios will often spread the creepy love across the rest of the year for all kinds of reasons. Sometimes, it's to avoid getting lost in the autumnal rush. They may try to capture awards season attention. And sometimes, they simply want to catch audiences by surprise. Off-season horror can do big business — Get Out certainly proved that in early 2017. Of course, some gems slip through the cracks despite their quality, as evidenced by our list of the most underappreciated horror this year. To make sure you're keeping up with the new entries in the genre, we're compiling a list of the best horror movies of 2018. Keep checking back throughout the year, whenever you're feeling the itch to make your skin crawl. Subtlety and style don't often rule the box office, particularly when it comes to genre fare; the horror landscape has been frequently dominated by in-your-face slashers, squeamish torture marathons, and gritty found-footage outings. It can come as a pleasant surprise, then, when a movie gets enough of a budget for some striking visuals while remaining quiet enough to leave you with lingering questions and a genuine sense of unease. Alex Garland, an author and screenwriter who made his directorial debut with the 2015 sci-fi sleeper hit Ex Machina, returned in 2018 with Annihilation. Hailed by critics with phrases like "heady nightmare fuel," Garland's sophomore effort deftly blends a metaphor-laced space invasion story with creeping dread and uncanny imagery. 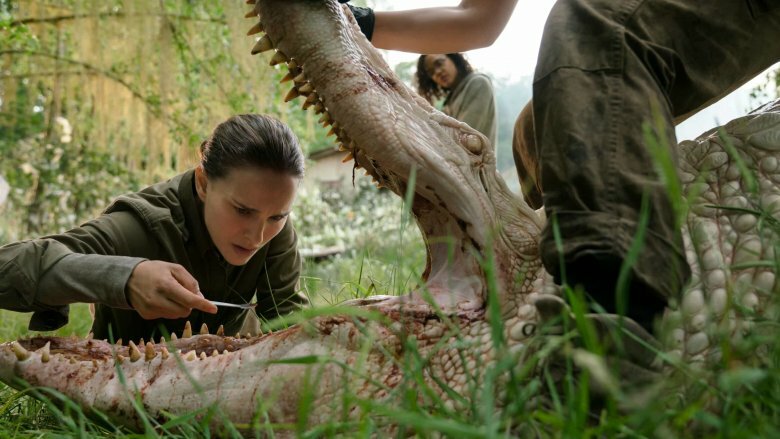 Though it was a financial disappointment in theaters, word of mouth has only continued to build around Annihilation since its home video release. Its big ideas and its cast of fan favorite actors (including Natalie Portman, Tessa Thompson, and Oscar Isaac) ensure that it will continue to be discovered by audiences for years to come. Humor and horror frequently rely on a similar set of tools for surprising the audience, and lately, comedy superstars are making that leap with gusto. Jordan Peele's expertise in satirical sketches brought Get Out to terrifying life, and Eastbound and Down creators Danny McBride and David Gordon Green blended their penchant for slapstick with real scare power for Halloween. Between those two crossovers, The Office star John Krasinski made an impressive turn as director, co-writer, and star of A Quiet Place. 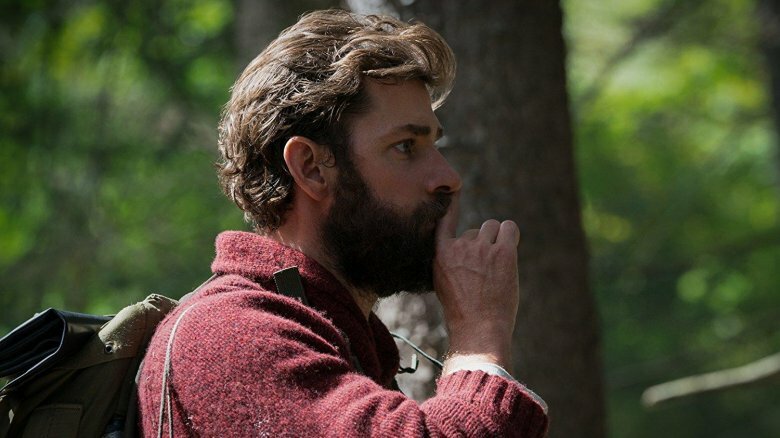 Perhaps it was his nine seasons enduring painfully awkward pauses at Dunder Mifflin that prepared Krasinski to pull off the harrowing tension of A Quiet Place. The movie captured the attention of audiences and critics when it crept into theaters in April, with its clever premise and minimalist presentation that leaves much to the imagination. Its tiny cast is rounded out with a stellar performance by Emily Blunt (Krasinski's real-life wife), newcomer Noah Jupe, and young deaf actress Millicent Simmonds, who made sure that the film's portrayal of life for a family with a deaf child remained authentic. Many of the best horror films reflect the cultural tenor of their time, extrapolating new technologies or societal shifts into speculative tales of terror. Even stories that seem conceptually downright silly can tap into frighteningly real anxieties that are on the audience's mind, or will be in the near future. Such is the case with Upgrade, a schlocky bit of body horror that plays on the moral questions surrounding artificial intelligence and billionaire tech entrepreneurs. In a not-too-distant future where computer-assisted body modification is the norm, a mechanic named Grey (Logan Marshall-Green) remains staunchly defensive of his own humanity, refusing to become augmented. That is, until a malfunction by his self-driving car leaves his wife (Betty Gabriel) dead and himself wheelchair-bound. Enter tech innovator Eron Keen (Harrison Gilbertson, whose character name is a none-too-subtle parallel to a certain real-life figure), who offers to restore Grey's motor functions with his newest AI chip. As any horror aficionado could guess, this melding of man and machine has some gruesome results. 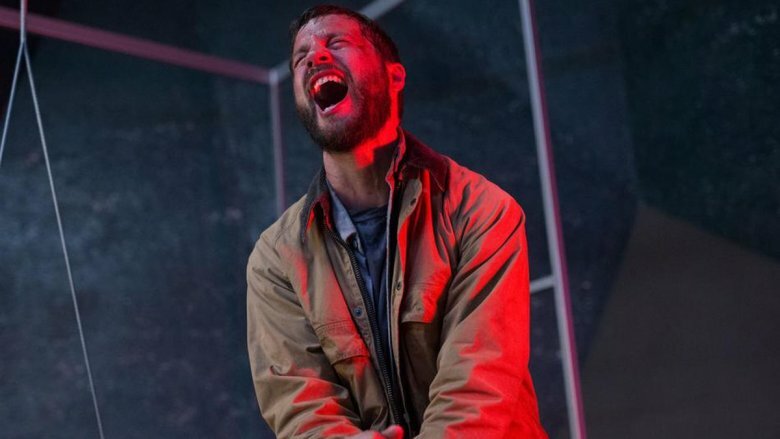 Directed by Leigh Whannell of Saw fame and produced by genre juggernaut Blumhouse, Upgrade blends topical concerns with an old-fashioned sense of gritty grindhouse fun. Surprisingly receptive critics have also praised its sharp humor and tight plotting. Horror anthologies have a long and storied history across a variety of media, from the pages of classic EC Comics to Netflix's Black Mirror. Movies have had mixed success with the format, though, as getting audiences to sit still for two hours of short stories can be a challenge. After the 1980s saw the release of the cult favorite Creepshow and the infamously disastrous Twilight Zone: The Movie, horror anthology films went mostly dormant until recent years, when Trick 'r Treat and the V/H/S series became Halloween staples. 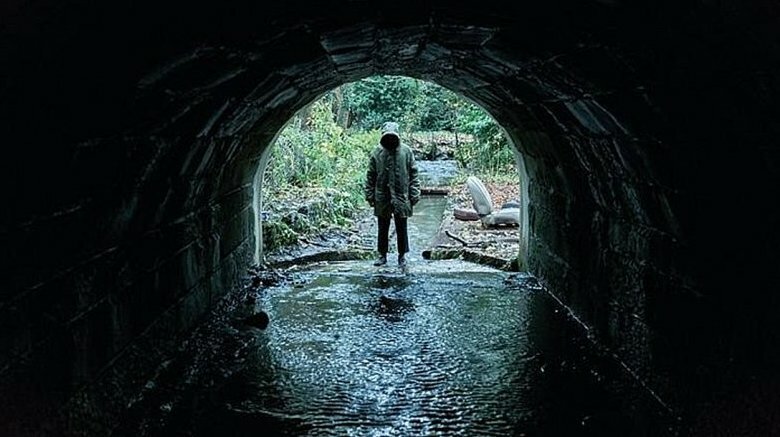 In 2018, American audiences were treated to an import of a new British horror anthology, Ghost Stories. The project began its life as a stage play by Andy Nyman and Jeremy Dyson, who adapted it into a film starring Nyman, Paul Whitehouse, and Martin Freeman. The story follows a professor known for debunking hoaxes as he investigates three cases of alleged paranormal activity. The lines between reality and fiction blur as the anthology builds to a startlingly surreal climax, all of which earned largely positive reviews. 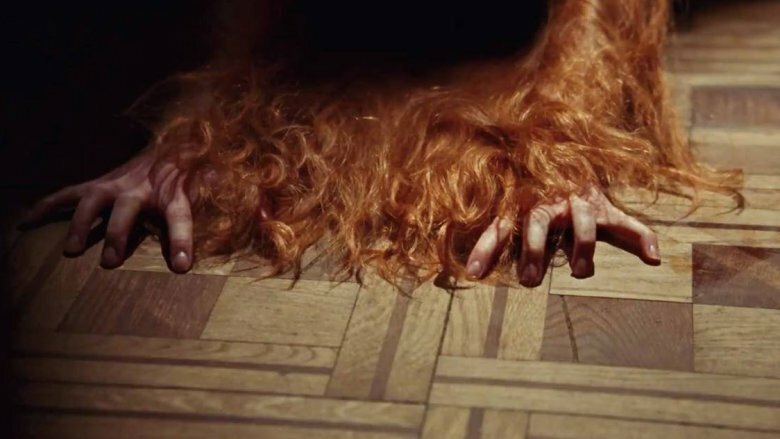 Zombies and vampires may have had recent moments in the sun (figuratively speaking, of course), but werewolves are a monster vein that remains largely untapped in current pop culture. That only adds to the joy in watching as Wildling slowly reveals its supernatural elements while weaving a smart and sympathetic character study. Like most classic tales of lupine transformation, it's a coming-of-age story, designed to do for young women of today what Ginger Snaps did in the '90s. The feature debut from director Fritz Böhm, Wildling is buoyed by performances from genre favorites Liv Tyler (who also produced) and Brad Dourif (best known to horror hounds as the voice of Chucky from Child's Play). Bel Powley takes the lead as Anna, a teenage girl who has grown up under the abusive thumb of a father figure (Dourif) who claimed to be protecting her from man-eating creatures outside. When she's rescued by the local sheriff (Tyler), Anna begins to realize she was the man-eater all along. 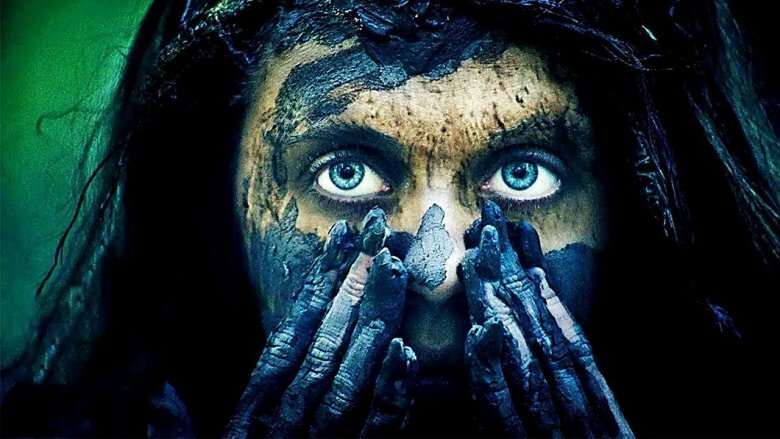 Wildling has been hailed by critics for its powerhouse performances and striking visuals (courtesy of Get Out cinematographer Toby Oliver). The Hollywood Reporter listed it as one of the ten best films debuting at SXSW, and Looper's own Sarah Szabo even called it "one of the best movies of 2018." Netflix has spent the last few years ramping up their output of original content, and the results have been mixed, to say the least. Freed from the need to sell tickets and relying largely on word-of-mouth for publicity, the streaming platform's release strategies have created a new arena of risks and surprises. For every pop culture smash like Stranger Things, there's a misguided fizzle like Disjointed. For every big-budget disappointment like Bright, there's a hidden gem like Cargo. With the glut of zombie fare over the past decade, it's understandable that a drama about the walking dead might get lost in the shuffle and shamble. Cargo, however, brings some fresh brains to the sub-genre with a quiet story about one family's post-outbreak life in rural Australia. 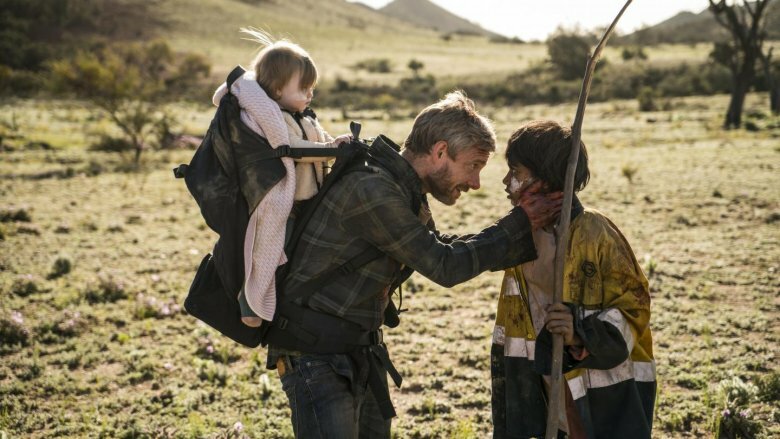 Directed by the filmmaking team of Ben Howling and Yolanda Ramke and anchored by an understated but intense performance by Martin Freeman, Cargo was favorably compared by critics to the works of George A. Romero (Night of the Living Dead) and John Hillcoat (The Road). A24 has established itself as a distributor of movies by up-and-coming filmmakers who are ready to balance nuanced stories with stylish visuals, all on a small budget. 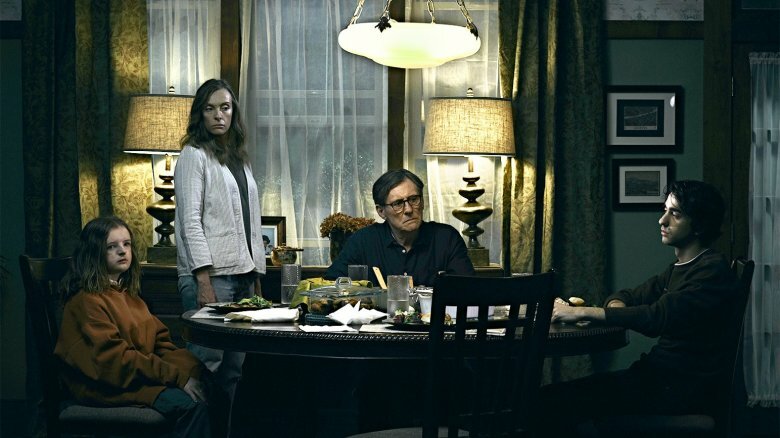 Their greatest success to date is probably Barry Jenkins' Best Picture winner Moonlight, but they also secured a place in the hearts of horror fans with The Witch and It Comes at Night — and they continued that hot streak in 2018 with another low-key creepfest, Hereditary. 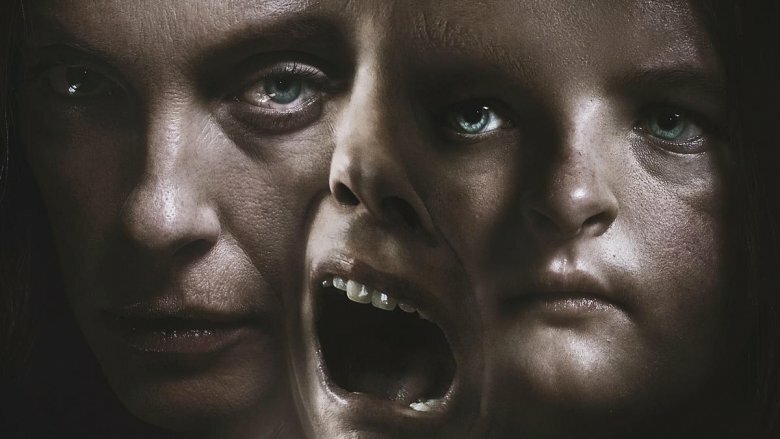 The feature debut from writer/director Ari Aster, Hereditary sets out to unnerve you with a cornucopia of disturbing omens, bizarre visuals, and surreal nightmare logic. Critics immediately got behind it in a big way, heaping particular praise on the lead performance by Toni Collette. Interestingly, Hereditary seems to have caused a polarizing split between critics and audiences, as evidenced by the wide gap between its critic and audience scores at Rotten Tomatoes. Regardless, it's been a smashing success at the box office, having already made back its budget several times over. Everyone who buys a ticket (or a video-on-demand viewing) to a Nicolas Cage vehicle knows to expect something bonkers. Even that won't prepare you for Mandy, a surreal experience in sound, color, and vengeance. 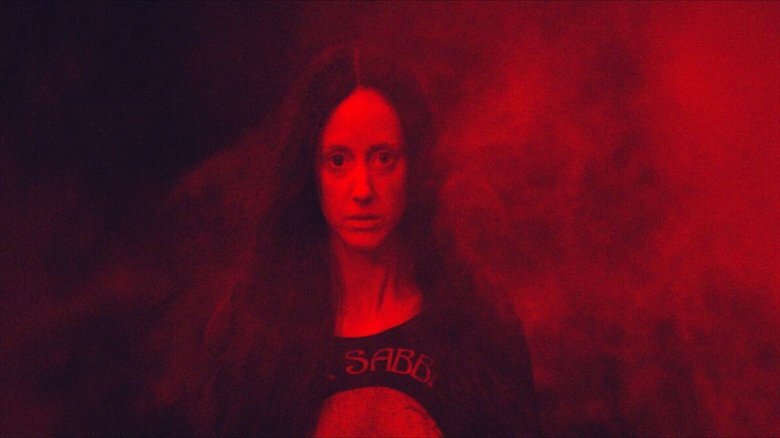 Cage, Andrea Riseborough (Birdman), and Linus Roache (Vikings) turn in mesmerizing performances in this second film from director Panos Cosmatos (Beyond the Black Rainbow). Set in the early 1980s, Mandy is the story of a man taking violent revenge against a religious cult and the supernatural forces allied with them. But recounting the plot of Mandy doesn't really tell you anything about why it works. On paper, it's a fairly cliched revenge story, but Cosmatos' style elevates the movie to a mythic, hypnotic level. The movie builds to a fevered climax, immersing us in its heroes' heavy metal and fantasy novel-inspired worldview. Really, nothing we could say here would explain why critics loved Mandy. As Justin Chang of the Los Angeles Times puts it, "Cosmatos' metal-to-the-max revenge thriller is more than just the sum of its deranged set pieces, choice as they are." The word "risky" doesn't often apply to long-running franchises, but 2018's Halloween had no right to be as successful as it was. Though masked murderer Michael Myers remains a towering horror icon, John Carpenter's 1978 original is the only movie in the series to hold unquestioned classic status. Its four-decade run has been rife with multiple retcons, reboots, and a general sense of diminishing returns. The newest iteration of Halloween had a troubled road of its own, but fans' interest was piqued when Carpenter came on board as producer and composer (his first involvement with the series since 1982's Halloween III: Season of the Witch). The hype intensified when Jamie Lee Curtis signed on to reprise her star-making role as Laurie Strode. Things were shaping up, but with a writer/director team more versed in comedy than horror (Eastbound and Down's Danny McBride and David Gordon Green), it was still hard to guess what we were in for. What we got was a lean, thrilling sequel that eschewed complicated slasher lore in favor of a story about time and trauma. 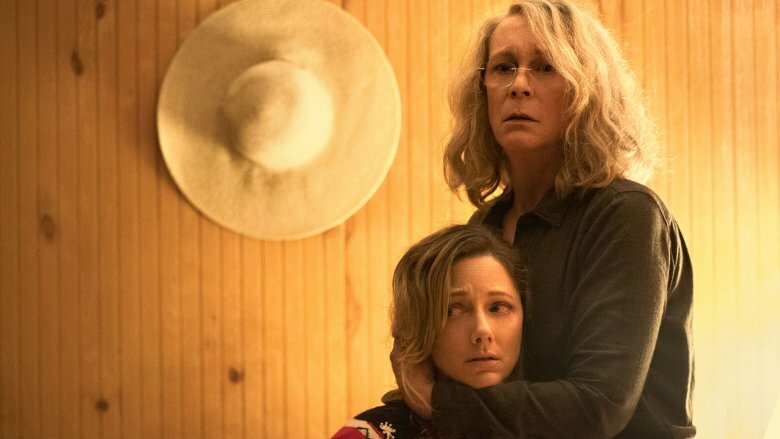 Rather than put Michael front and center, the movie makes his killing spree the backdrop to Laurie's fractured relationships with her daughter and granddaughter. When the Shape does strike, though, he's as clever and brutal as ever. Audiences and critics got behind the revival in a big way, proving that this Halloween was at last a worthy successor to its legendary namesake. The Cloverfield series has always relied on mystery in marketing from the very beginning. The first movie was announced with an untitled teaser trailer back in 2007. 10 Cloverfield Lane didn't reveal its ties to the original until just before it came out. The Cloverfield Paradox received a surprise release on Netflix after the Super Bowl. The only surface elements all three had in common were monsters and producer J.J. Abrams. Audiences could be forgiven, then, for suspecting that Overlord might turn out to be a stealth Cloverfield movie. Even when Abrams denied the connection during the film's production, it still seemed like yet another bit of deception. It wasn't, though — Overlord isn't a Cloverfield movie. No, really. It does, however, have a traditional Abrams-style mashup of human drama with supernatural horror. The movie follows a platoon of Allied soldiers in World War II who encounter a Nazi laboratory full of horrifying creatures. 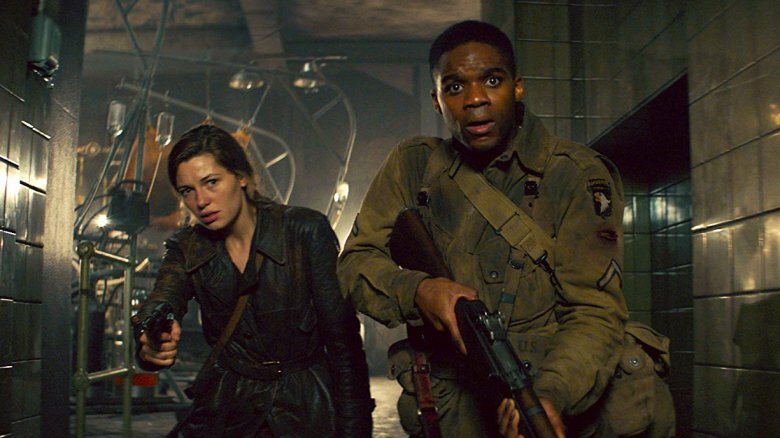 Critics appreciated its skillful blend of war movie and horror movie tropes, with Jonita Davis of Black Girl Nerds comparing Overlord favorably to Night of the Living Dead and declaring it a future cult classic. Horror remakes don't often achieve prestige status, but that certainly happened in 2018 with Suspiria. Call Me By Your Name director Luca Guadagnino completely reimagined Dario Argento's 1977 cult favorite, twisting its bones into a deep meditation on themes like identity, manipulation, loss, and rebellion. It even threads the very idea of being a "remake" into its own story, as dance student Susie (Dakota Johnson) is slowly and irreversibly changed by her efforts to follow in the footsteps of her enigmatic instructor, Madame Blanc (Tilda Swinton). The response to Guadagnino's film has been nothing short of polarized. A glance at Rotten Tomatoes reveals a critical opinion resting comfortably in the middle percentages. Unlike many films with such a lukewarm average, though, Suspiria landed there because of a hard split between individual reviews — people either really loved it or very much did not. A discerning crowd at the Cannes Film Festival gave its premiere a rousing ovation, but there's no shortage of critics quite literally calling it garbage. Suspiria may well either be a horror fan's favorite or least favorite film of 2018, but the passionate reaction it's inspired certainly suggests it won't be forgotten any time soon.